As a caravan park near the Lake District, we can offer access to some of the country’s most wonderful landscapes – the beauty and cultural significance of this area have not gone unnoticed by UNESCO, as the Lake District is now part of their World Heritage Sites list. Grasmere is a quaint and beautiful place to visit while here. It is probably Cumbria’s most famous village – mainly due to its connection to William Wordsworth. With so much history in Grasmere, as well as many things to see and do, you should definitely add it to your list of day trips from Old Hall! Home to poet William Wordsworth and his sister Dorothy from 1799 to 1808, Dove Cottage is an unmissable slice of history. 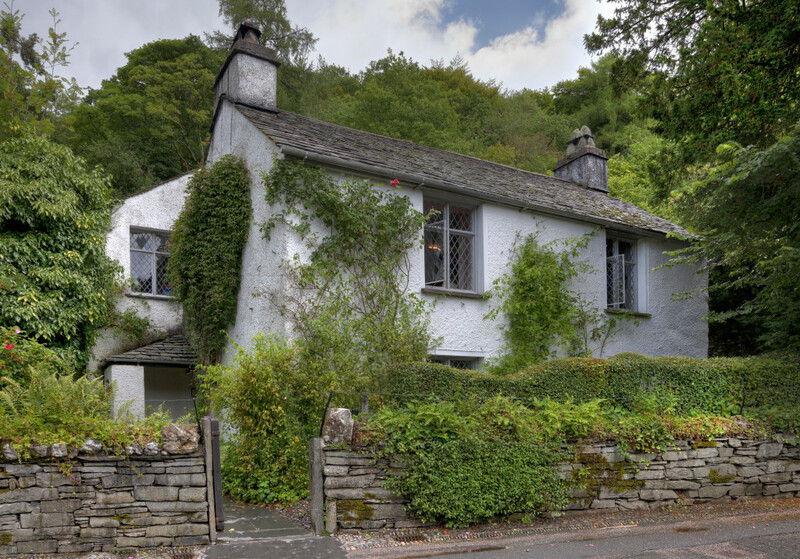 In 1890, the Wordsworth Trust acquired the cottage and opened it to the public as a writer’s home museum in 1891. This is a Grade I listed building and is visited by around 70,000 people a year. In addition, the house has not changed much since Wordsworth’s era, meaning you can still admire the characteristics of the time, which include stone floors and dark panelled rooms. When the Wordsworth family grew after having children, they needed bigger lodgings, which they got with Rydal Mount destination. This house, which is located between Grasmere and Ambleside, was inhabited by Wordsworth from 1813 to his death in 1850, and also operates as a writer’s home museum. To this day, the Wordsworth family still owns the property, which includes beautiful gardens too. When you visit their website, you are greeted with the message “Quite simply the best gingerbread in the world”, so you know you’re in for a treat! The popular Grasmere Gingerbread was invented by Sarah Nelson in 1854 here and is enjoyed by people from all over the world. It’s no wonder why; the gorgeous and unique combination of spicy and sweet, as well as the cross between a biscuit and a cake, has made it renowned and beloved. When you pop into the shop, you can enjoy rum butter and other sweet treats such as fudges, chocolates and toffee. 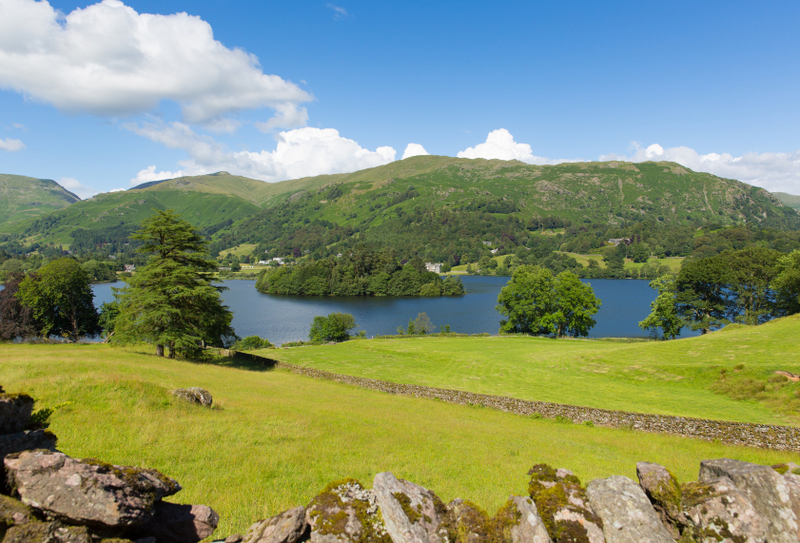 If you’re looking for a sportier day out, Grasmere Sports may be perfect for you! Running for 168 years, this annual event is rich in history and has become one of the most popular traditional events in the Lake District. Participants will be able to compete in a variety of events, such as fell running, hound trails and Cumberland wrestling. Ifyou prefer something like hiking instead, Helm Crag is a fantastic choice as well. Located in the Central Fells to the north of Grasmere, you can easily see it from the village; this hill is one of the most recognised in the Lake District, as its alternative name is The Lion and the Lamb. This is not a tough walk, meaning it’s great for beginner and the whole family can enjoy the 307m climb. From the top, the views are incredible and make for a perfect picnic spot! Staying in a caravan park in Lancashire offers many advantages, including the close proximity to beautiful and charming places like Grasmere. When you choose Old Hall Caravan Park, you are choosing quality, safety, and the ability to have the holiday you want. Whether you desire peace and quiet or want to explore the area, we offer the perfect base for you to do so. This entry was posted in The Lake District, What to Do. Bookmark the permalink.